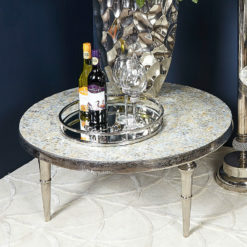 The pearlescent Ella round coffee table features a nickel base, trumpet style legs and a shimmering mosaic style mother of pearl table top. 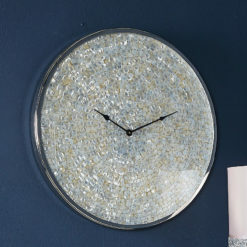 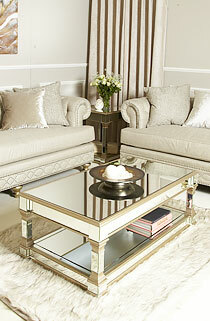 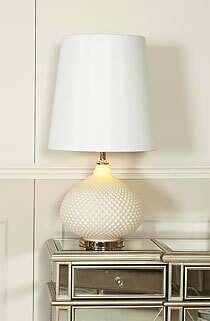 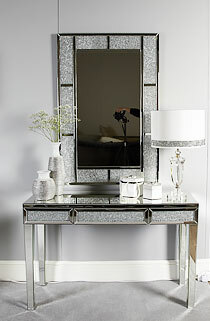 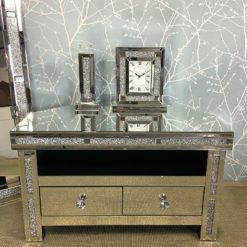 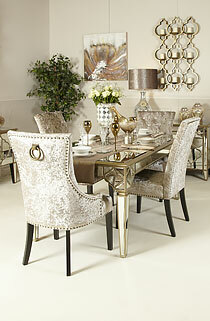 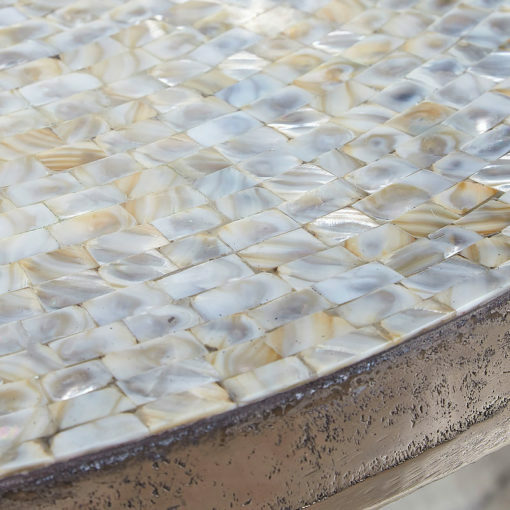 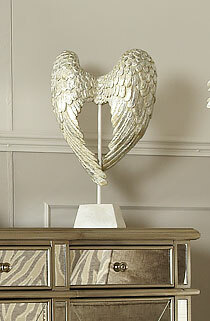 Alluring and luxurious, mother of pearl is timeless and brings glam to any room. 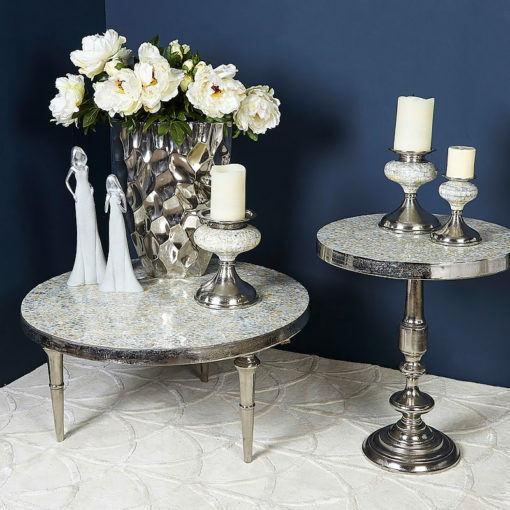 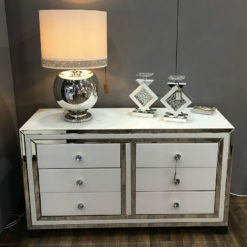 The Ella round coffee table with trumpet style legs defines this, the focal point of any lounge, the Ella coffee table has been crafted in nickel with a shimmering mosaic style mother of pearl table top.